Stylish and luxurious, Fairmont Ajman is infused with the opulence of the Middle East. Nestled on the gorgeous Ajman emirate, if you're looking for a peaceful retreat while still within easy reach of the vibrance of Dubai's city centre, this is a great choice. 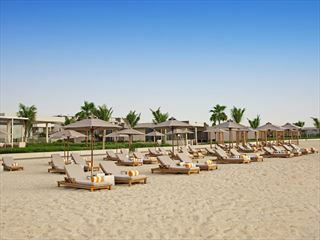 The Oberoi Beach Resort, Al Zorah is undoubtably one of the finest resorts in the UAE. Oberoi, famed for their high levels of service, have gone all out on this boutique property and it’s evident from the moment you arrive. With a world-class beach and stunning rooms and villas, this Oberoi is perfect for both short stays and extended beach breaks. Nestled along the west coast of the UAE, Ajman may be the smallest of the seven emirates, but it certainly packs a punch. This charming destination offers the best of both worlds, blending relaxation with exciting city amenities to create an all-round Middle Eastern getaway. 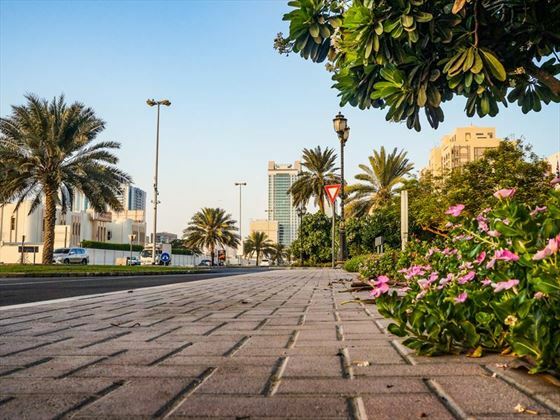 Stroll along the Corniche in the cooler months and you’ll likely see local families getting together for a delightful BBQ or picnic on the promenade. 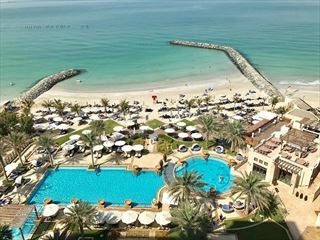 A 4km stretch of casual restaurants and entertainment, the Corniche is a wonderful place to see how the locals live and socialise, all the while enjoying the beautiful coastline views. There’s a gorgeous sheltered tidal pool nearby too, and the esplanade truly comes to life when the sun goes down. From the Corniche, wander further into the city for a bit of shopping, a lot of eating, and a few fascinating museums. The Ajman National Museum, held in one of the oldest forts in the UAE, offers an insightful look into Ajman’s rich past, with archaeological exhibitions, relics, weaponry and manuscripts telling the interesting tale. Though the ambience here is laidback and chilled, the hotels in Ajman embrace luxury and style much like the rest of the UAE. Whilst perhaps the accommodation is modern and lavish, there are still plenty of traditional pastimes to experience too, including camel racing and world-class golfing.